We sat down with the legendary German guitarist to look back at his hugely-influential career, from the Scorpions to UFO and beyond. We sat down with the Brit rockers' lead singer and guitarist Grant Nicholas and talked about his long-time love affair with the Fender Jazzmaster. We chart the criss-crossed careers of two early jazz pioneers who had a huge impact on much of the guitar music that followed. With technique style file and Guitarist Vault audio. 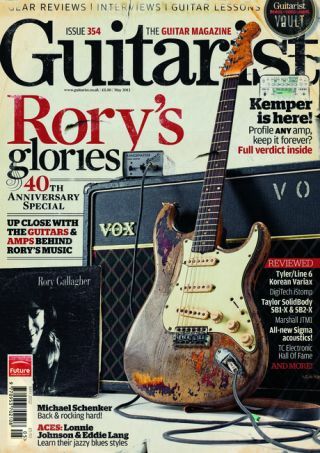 Guitarist issue 354, is available now from all good UK newsagents. Non-UK readers can purchase a copy from www.myfavouritemagazines.co.uk, or UK readers can subscribe and receive a free gift!